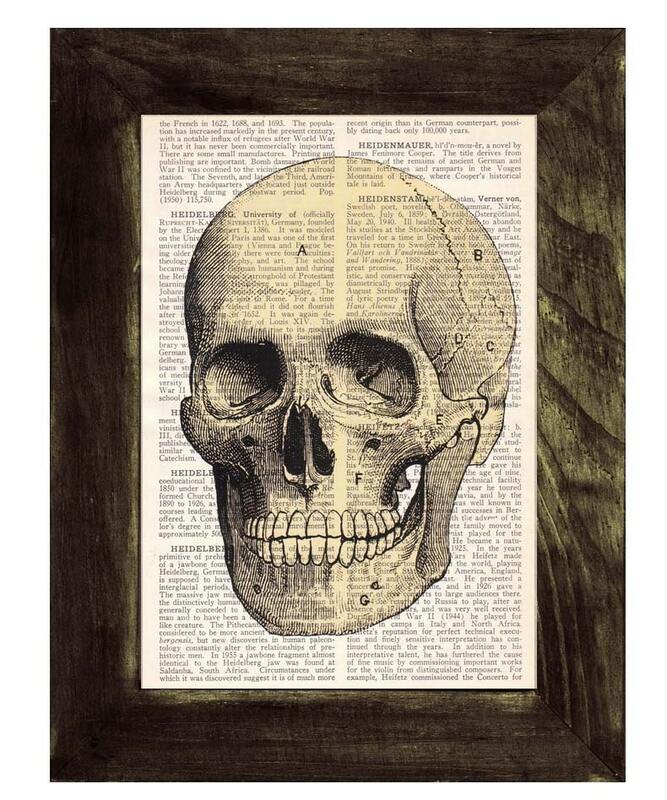 Skull anatomy art collage printed on real vintage dictionary book page. Looks fantastic !!! Thanks !! !